…it’s all downhill from here. It’s hard to imagine topping the success and excitement the last several weeks has brought. At the beginning of the summer I was hard at work – along with my friend Adam – on our first e-book: “Photographing the Adirondacks: Fall in the High Peaks Region”. We are very proud of the finished product which is currently available from our website www.adkbook.com. During that time I was notified that an article I had written entitled “8 Bold Ways to Improve Your Waterfall Photography” had been accepted for publication in “Photo Technique” magazine. My first published (photography) article! They gave me a generous 6-page spread and it came out beautifully. 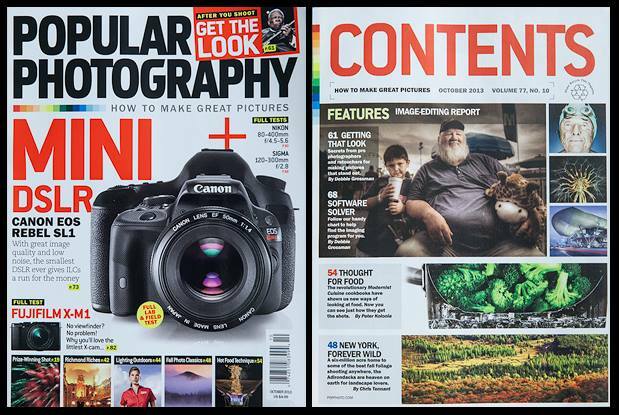 Apparently one of my photos was even in the running for the cover shot. Though it didn’t pan out, it is quite an honor to have an article alongside one by Chuck Close’s assistants on photographing the President of the United States! 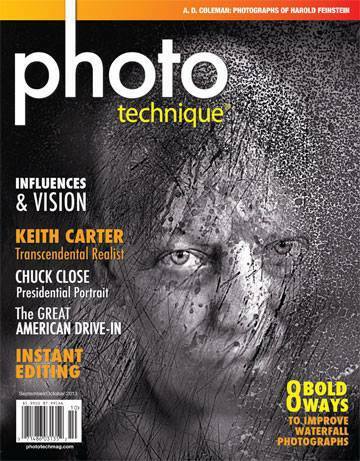 September/October 2013 issue of “Photo Technique” magazine with my article “8 Bold Ways to Improve Your Waterfall Photography”. Following that milestone I learned that another article of mine, about the Adirondack State Park in New York state, was selected as a feature article in the October issue of “Popular Photography” magazine! I spent a lot of time crafting the article (there’s a reason I am a photographer and not a writer!). The editors did a terrific job and I am incredibly proud of the finished product. They selected a nice mix of photographs (intimate landscape, B&W, panorama, etc…) to compliment the text. The Adirondacks is a place dear to my heart, making the publication extra special for me. October 2013 issue of “Popular Photography” magazine with my feature article on the Adirondack State Park, “New York, Forever Wild”. To cap off the eventful summer, Adam and I spent an amazing week exploring the Canadian Rockies. My E-book is Now Available! Amazing accomplishments Chris. Well earned. I’m continually inspired by your photographs in ways that help me elevate my shots. Thank you Bodhi, much appreciated. I stumbled upon your blog here. Congrats on your ADK book which I am particularly interested in since I went on a photo jaunt to the Adirondacks this Fall. (I posted several images on my blog.) I will check out the website for the book! Thanks Denise. I hope you find the e-book helpful. We plan to update and add a few more locations for 2014. I read your blog posts from your ADK trip and apparently we we were in the Lake Placid area at the same time. There was some great color this year!